With the stage in the center of the sound field of 4 independent full spectrum channels mixed through a state-of-the-art 4-BUS analog mixer will create a rare sound environment for the audience and a rare opportunity for electronic music artists to shape sound architecture through surround sound sonic motion. Call it Quadraphoni or Quadrasonics or ole 4.4, Quadsound is an immersive audio experience that uses four channels in which speakers are positioned at the four corners of the listening space, reproducing signals that are (wholly or in part) independent of one another. 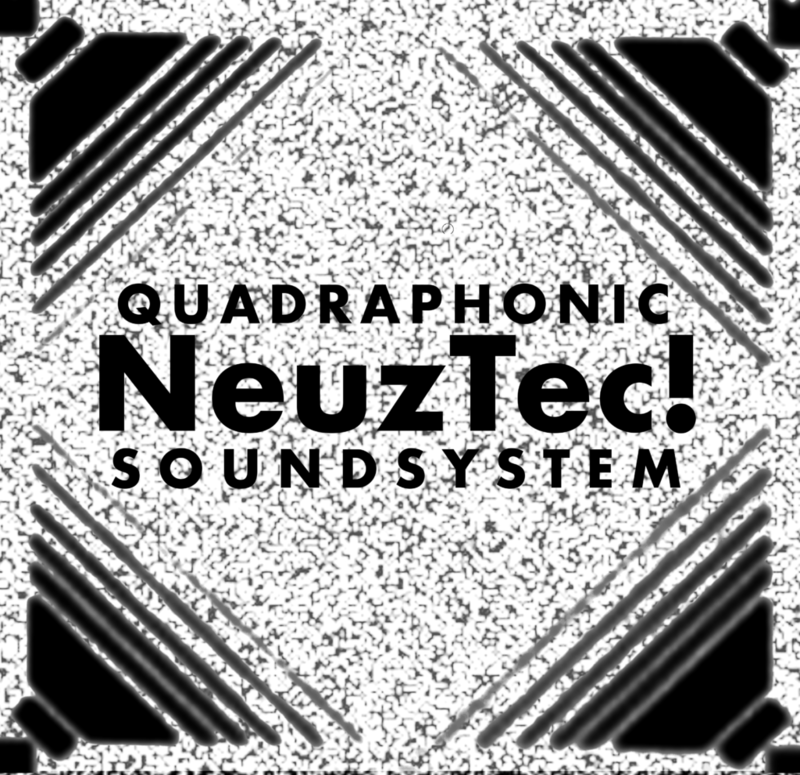 Quadsound allows an artist to modulate sonic movement in creative ways using a wide array of sound design techniques and technologies. NeuzTec! artists have diverse and unique stage setups and the audio output ranges from full-blown quadraphoni controlled using modular synthesis and voltage modulation, to stereo artists using creative multi-channel panning, to the equilateral mono noiser. NeuzTec! is creating a deeper dimension of live sound.